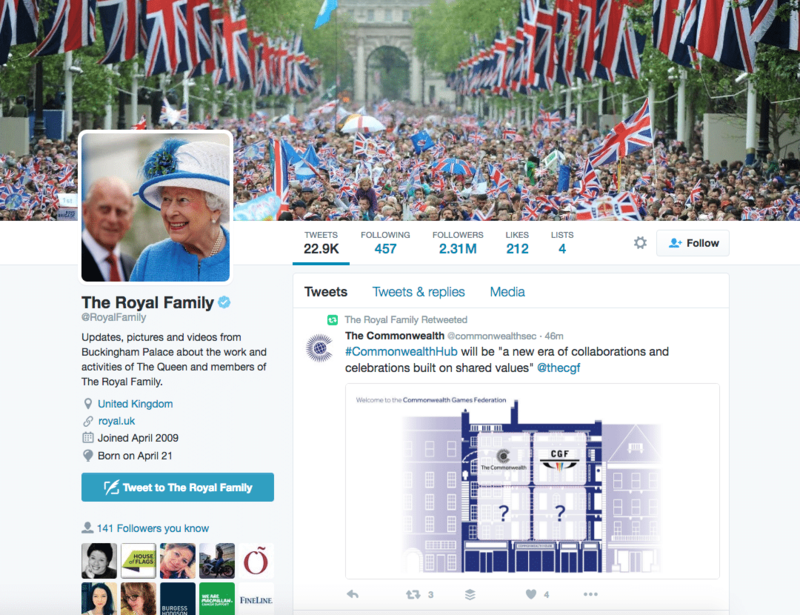 In honour of The Queen’s official 90th Birthday, we’re taking a look at the Royal Family on social media. Which profile can be crowned the social media King or Queen? 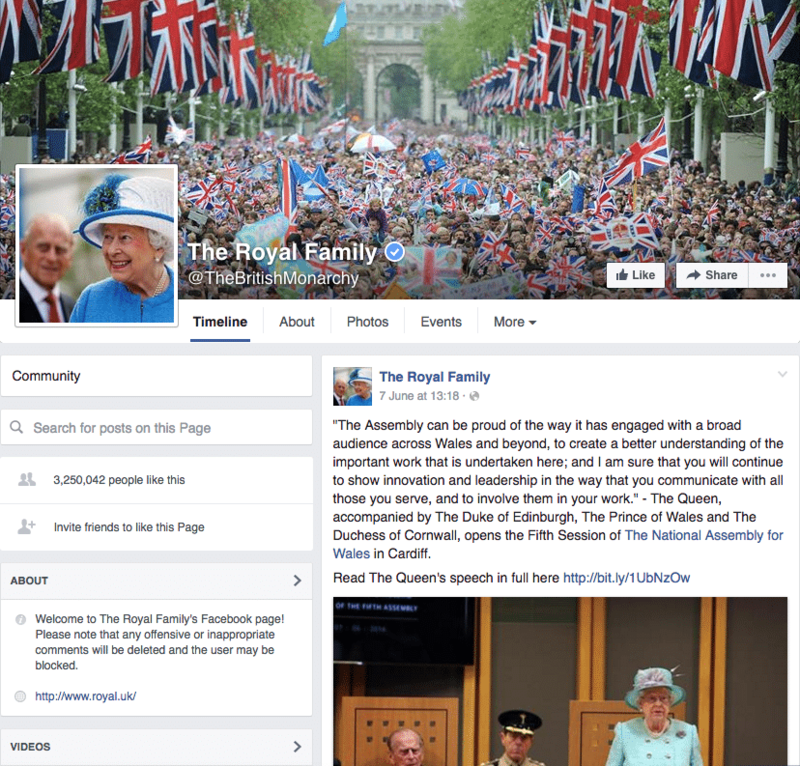 The British Monarchy Facebook page is the official profile of the Royal Family. It is here that exclusive photos are posted, such as family portraits of William, Kate, George and Charlotte on holiday. The photos are always posted on the Facebook profile first, and usually appear on other online media very soon after. The British Monarchy page posts regular updates, photos and videos of what the Royal Family have been doing (i.e. public engagements, Royal tours etc) wherever in the world they may have been. 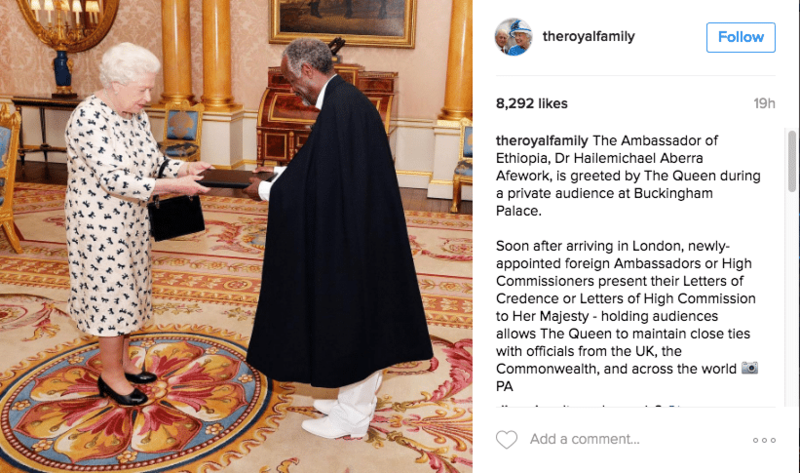 A more concise platform to that of the British Monarchy Facebook page, The Royal Family Instagram is abundant with regularly posted rich, vibrant professional photos all detailing stories of the Royal Family’s adventures. 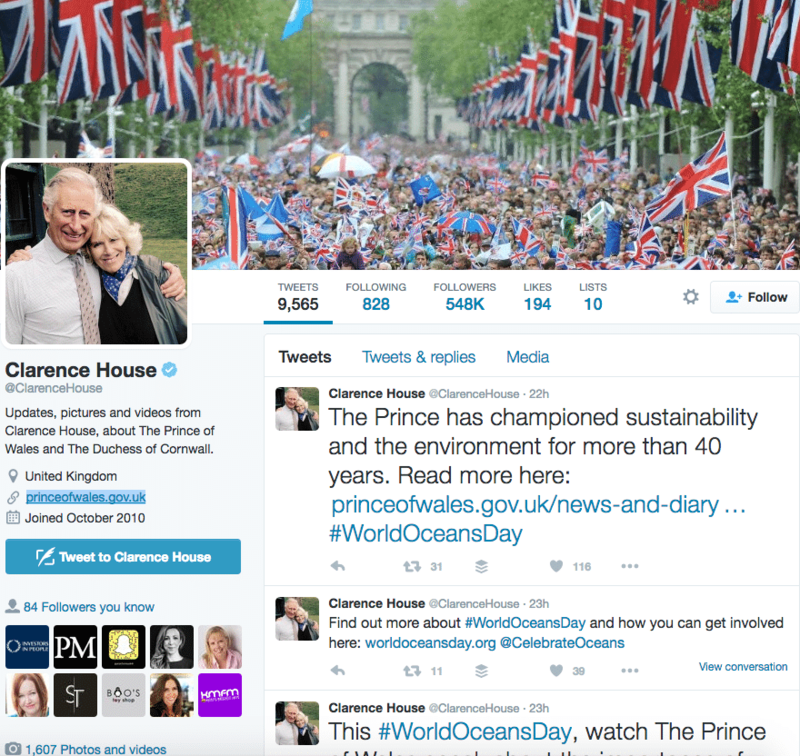 Clarence House is the official residence of Prince Charles and Camilla, and this is the official Twitter account for the couple. 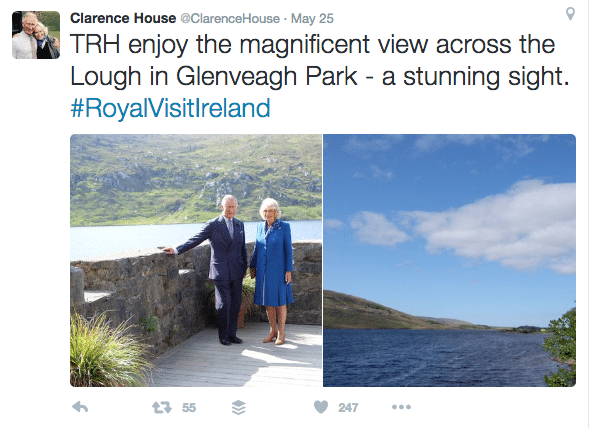 In contrast to the @RoyalFamily twitter, @ClarenceHouse is a little more informal, retweeting followers and posting photos with popular celebrities. 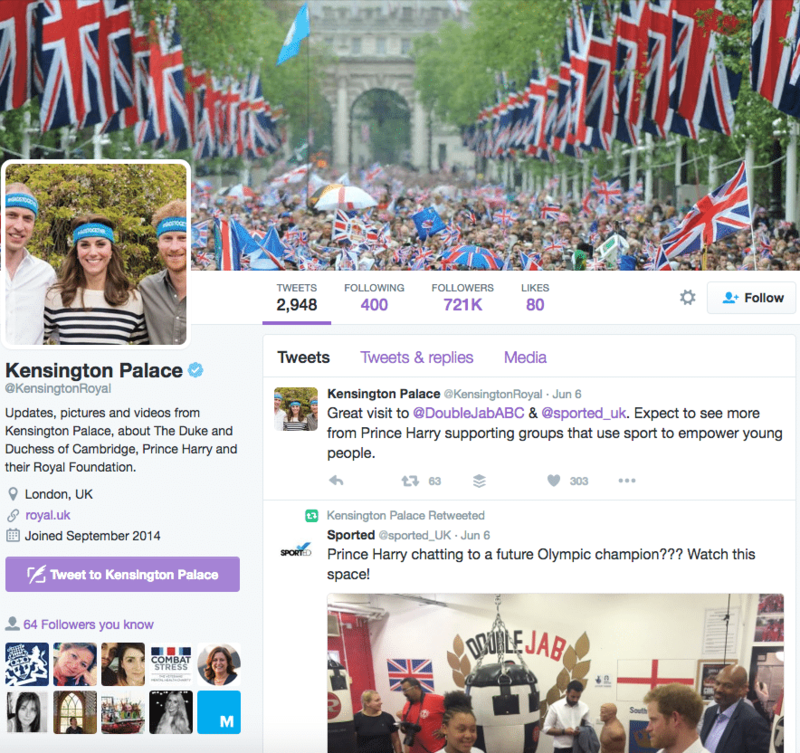 The official Kensington Palace Twitter covers updates from William, Kate and Prince Harry. Similar to @ClarenceHouse, @KensingtonRoyal is informal, retweeting followers photos and posts with any of the younger Royals in them. 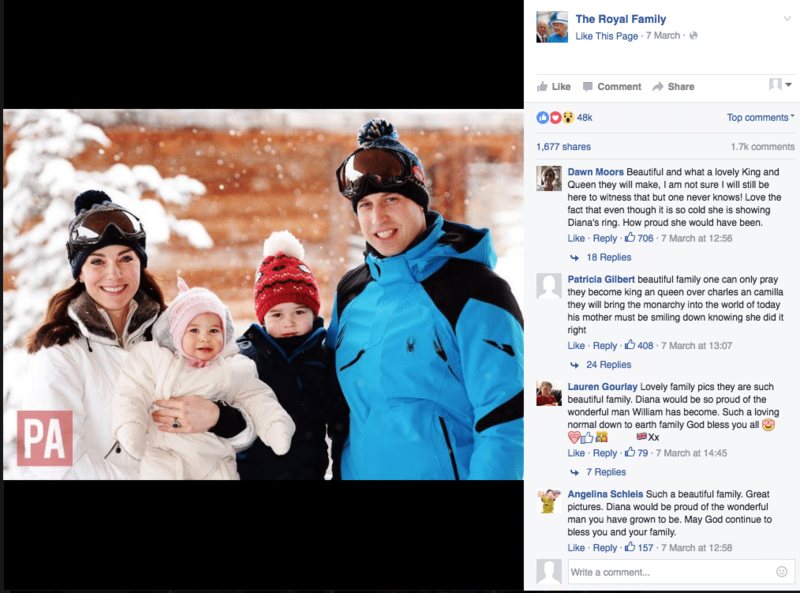 The social media crown has got to ultimately go to The British Monarchy Facebook page! 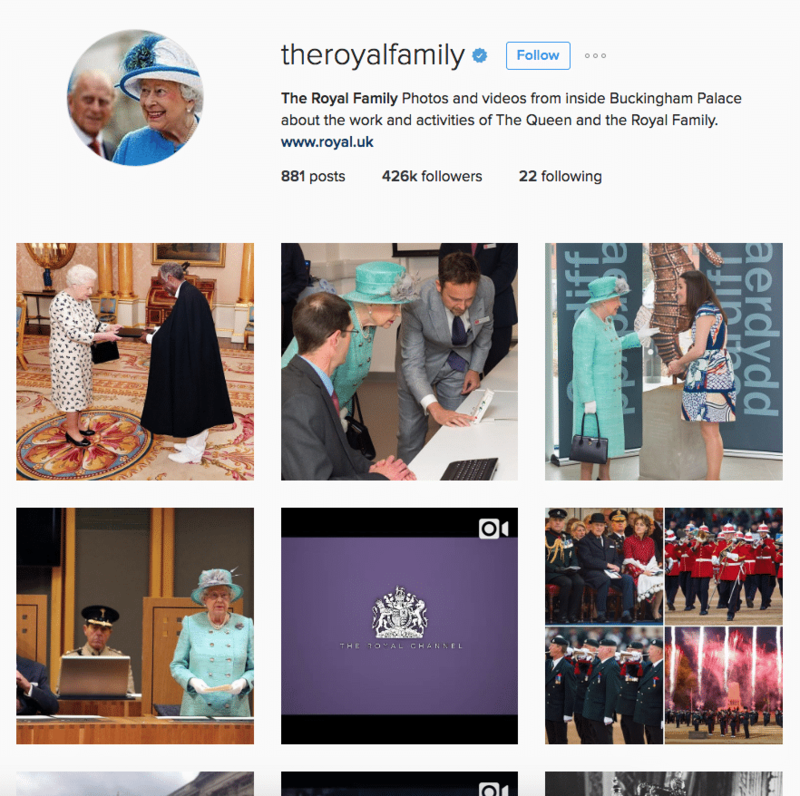 With over 3 million fans from all over the world, Royal lovers flock to the page to see the latest photos of the royal great-grandchildren and the Queen for an exclusive first glimpse!